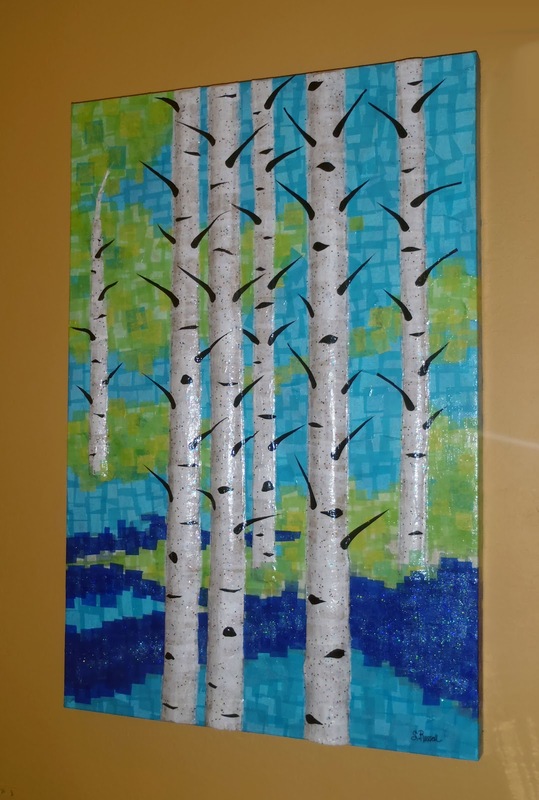 Birch By The River is a 24" wide x 36" tall x 2" thick﻿ mixed media collage on canvas. Birch tree trunks are three dimensional (see close up photo below) to add interest to this piece. This piece is "green art" and was made from recycled materials. I first started with a used canvas that had undesired art on it and I painted it with primer and waited for it to dry. I cut used wrapping rolls in half and glued them to the canvas for tree trunks. I then added multiple layers of square shaped paper pieces to create the tree bark, river, ground cover, sky and tree branches, and glitter. Once dry, I sealed the completed piece with a UV protectant. 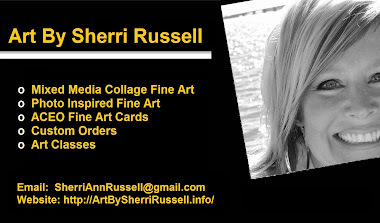 Shipping and handling fees typically run approx $15 to $35, depending on destination location and desired carrier.